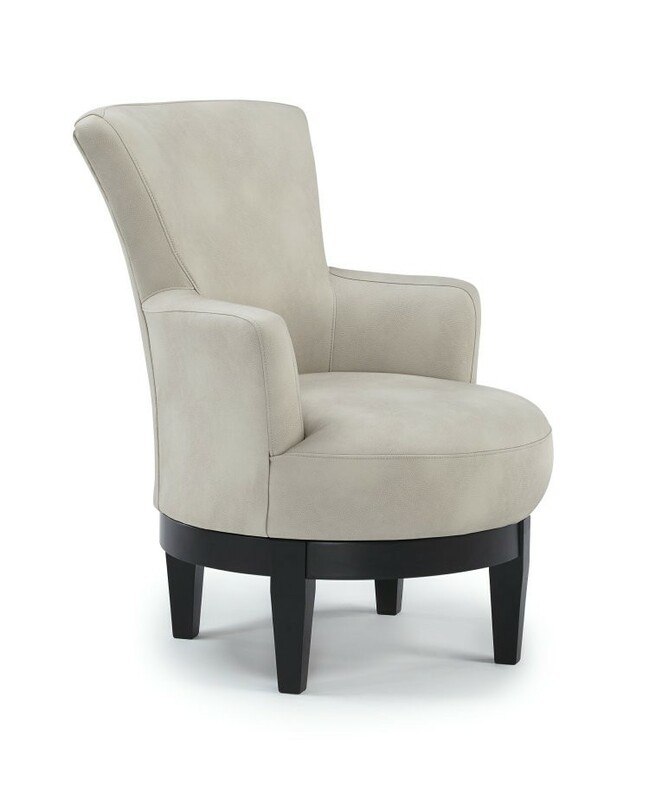 Best Home Furnishing&apos;s regal 360-degree swivel chair from Carolina Furniture will command the attention of any room. 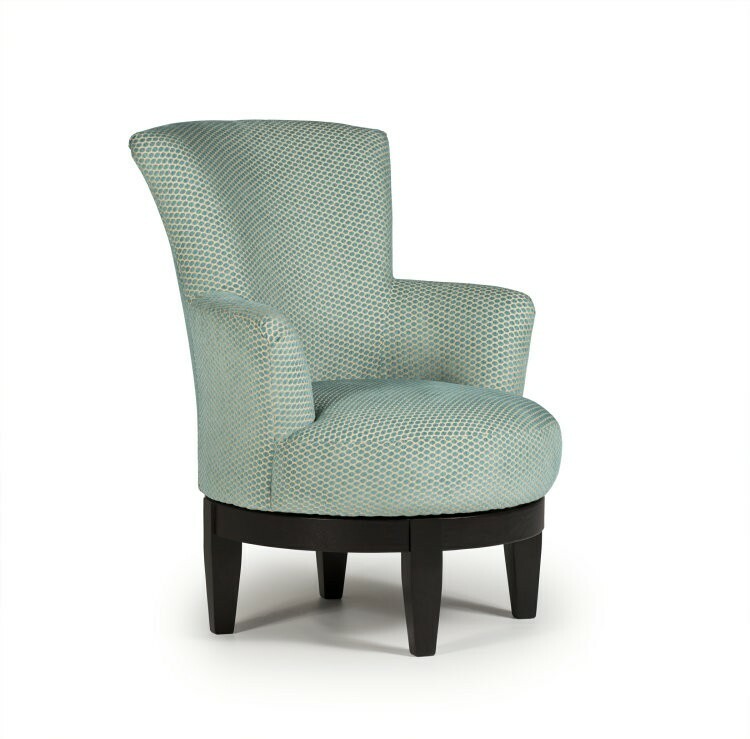 With a high back and flared ends, this chair evokes a prestigious air that cannot be ignored. The circular cushion is set atop an Espresso finished base and legs and the covering comes in hundreds of options, from patterned fabric to Elements QC.